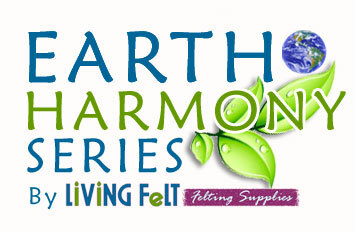 7" x 9" x 1/2"
VERY DENSE, LIGHT WEIGHT, THIN = TRAVEL & EARTH FRIENDLY! It's the size of a notebook, but can take the pressure & poking of a professional needle felter! 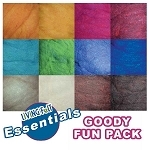 Our new Green Soy Foam for Needle Felting is a greener and healthier choice for your needle felting crafts. 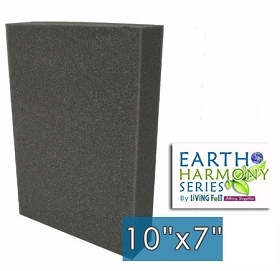 This high density foam is made in part with eco-friendly soybean oil, a renewable resource and BIOMATERIAL. This results in lessening the dependence on petrochemicals, which reduces global warming emissions and the need for foreign oil while supporting farmers and local producers of soy beans. 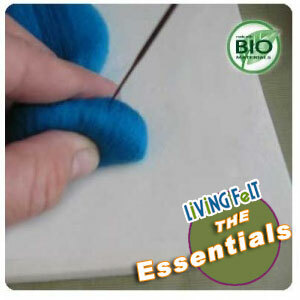 Living Felt Green Soy Needle Felting Foam has a zero-landfill manufacturing process recycling all post industrial materials. 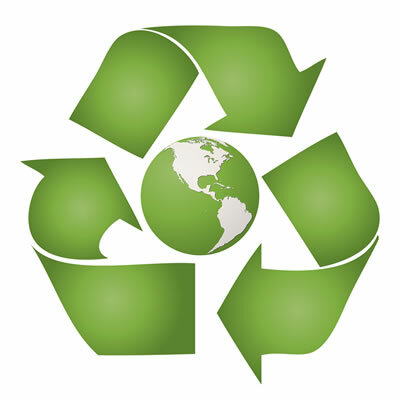 Since this foam has a "skin" on the top surface, you will find that it LASTS MUCH LONGER than traditional foam - thereby increasing the life of the foam and reducing landfill waste. See below from people who loved using this new foam as much as they loved the "greener" qualities. *Not "everyone" will like this foam -- if you have a heavy hand and like to 'crunch' deep into your foam, this may not be for you, but we have priced it to try in case you enjoy it as much as we do! Pro Tip: Stack two on top of each other for a thicker, much denser surface than other foams. Tried, Tested And Trusted By Professional Felters! "I like that it's flexible unlike my other firm foam work surfaces and will pack easily for trips away from home. Because it's so thin, it won't take up much space! This is an important consideration for me personally. One wouldn't be able to use it on a lap in the car or on a plane, of course, but this is not an issue in my case anyway. I have used my sample quite a bit, and it still looks like new! "Marie - I really like this foam! I prefer that it is thin -- and the density can take me making very tight rolls, it can take the pressure. It feels like working on a semi-soft table top. It cleans better and faster! I clean it with packing tape...so easy! I can't even see needle holes! 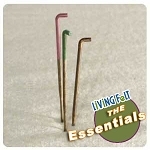 I used it with multi-needle tools and single needles, I made 3-D sculptures and flat pieces and it works great. -- thanks!"